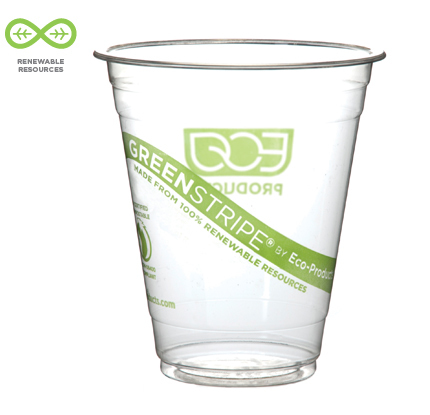 Showcase your commitment to green with our classic renewable & compostable GreenStripe® Cold Cups. Strong and durable, GreenStripe® Cold Cups provide a renewable way for you to save resources without compromising performance. Made from PLA, a plant-based plastic, these cups are 100% renewable, BPI certified compostable and ASTM compliant. Eco-Friendly water cups, like these 7 oz cold cups, make a great water cup choice. The 10 oz Eco-Friendly plastic cup is great for juice and other cold beverages. Use these 9 oz Eco-Friendly corn cups for serving wine and other similar beverages. These 12 oz Eco-Friendly cold cups are strong and durable. Cold Drink Cups, like these 16 oz cold drink cups (available with lids), are perfect for outdoor social events. These 20 oz Eco-Friendly drinking cups are big enough to keep you cool on a hot day. These 24 oz Eco-Friendly plastic cups are great for large drink servings. 28 oz compostable corn cups are BIG. 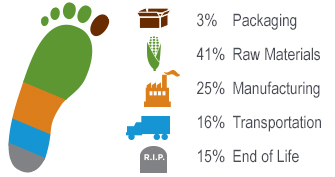 All our cups, like our 32 oz compostable drink cups, offer a great alternative to regular plastic cups.